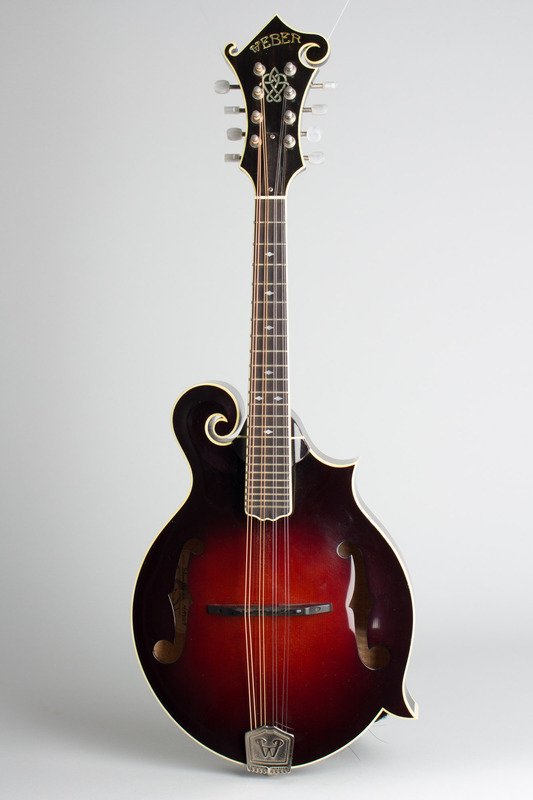 Weber Yellowstone Model Carved Top Mandolin (2004), made in Logan, Montana, serial # 4199107, sunburst finish, maple back, sides and neck, Sitka spruce top, ebony fingerboard, original grey hard shell case. 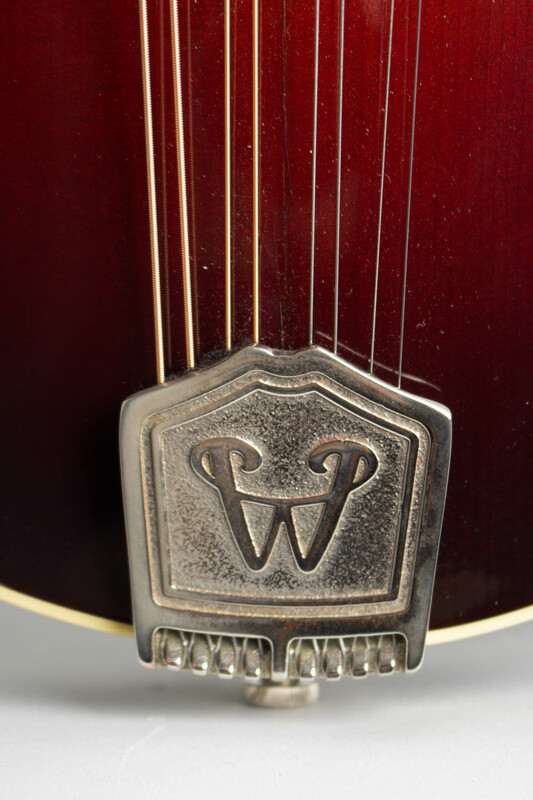 Overall length is 27 in. (68.6 cm. 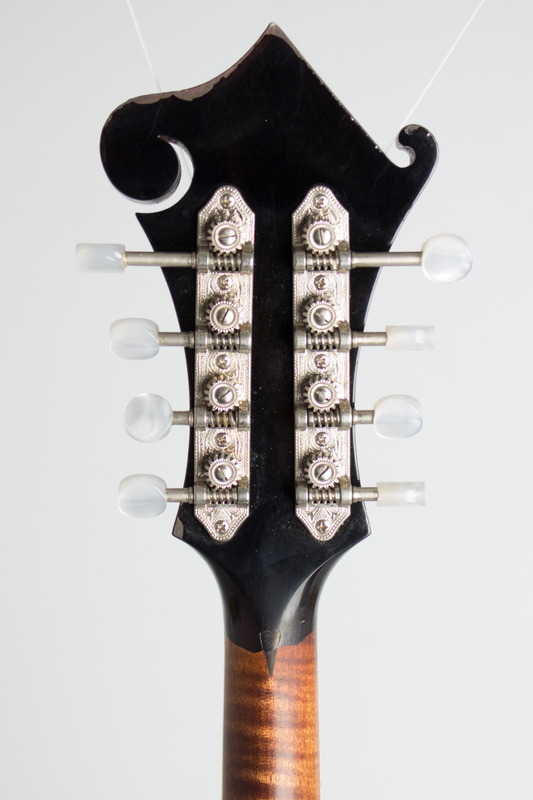 ), 10 1/16 in. (25.6 cm.) wide at lower bout, and 1 3/4 in. (4.4 cm.) in depth, measured at side of rim. 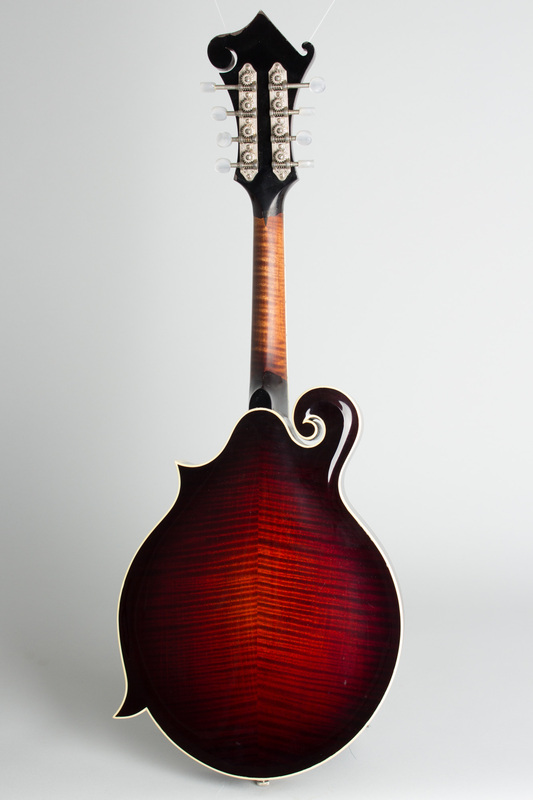 Scale length is 14 in. (356 mm.). Width of nut is 1 1/8 in. (29 mm.). This Weber is a great-sounding modern (well, modern for us!) 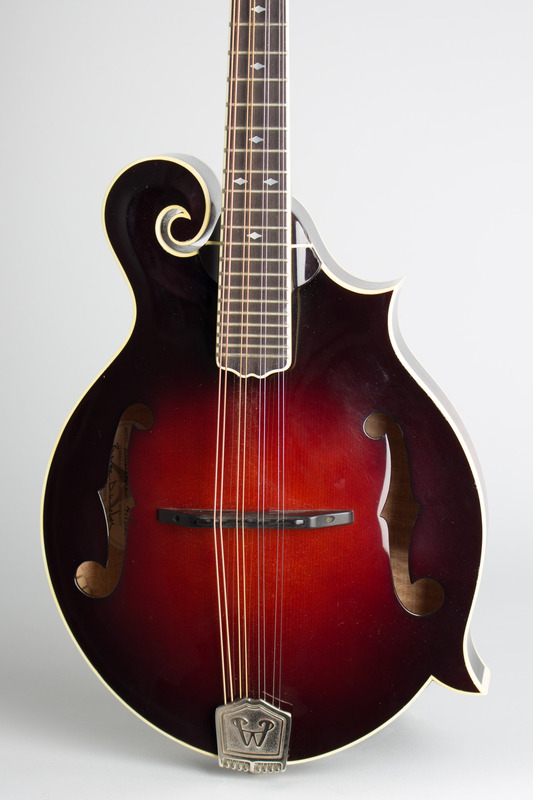 mandolin, one of the few really good bluegrass F-style models available at less than a premium price. 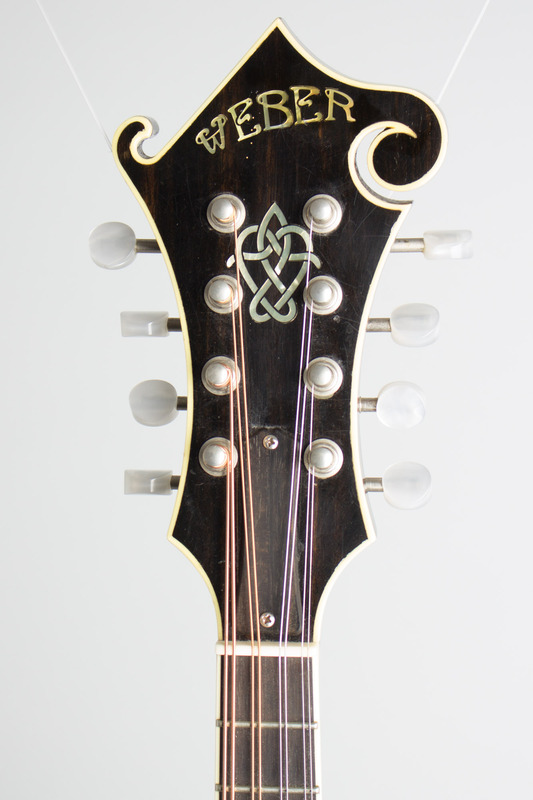 This one has been played with some finish wear, notably to the top edge near the fingerboard and back rear edge of the headstock. 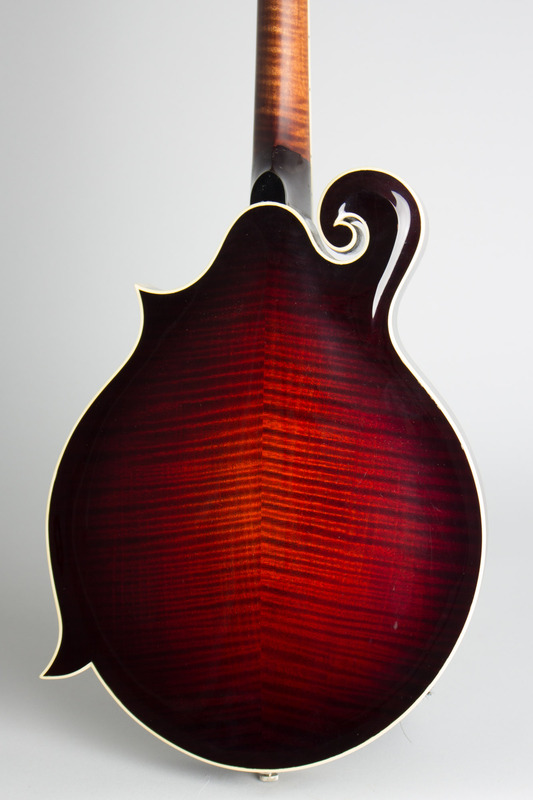 The back of the neck only has been stripped down with a very light varnish violin style, which many players prefer to the heavier finish provided from the factory. 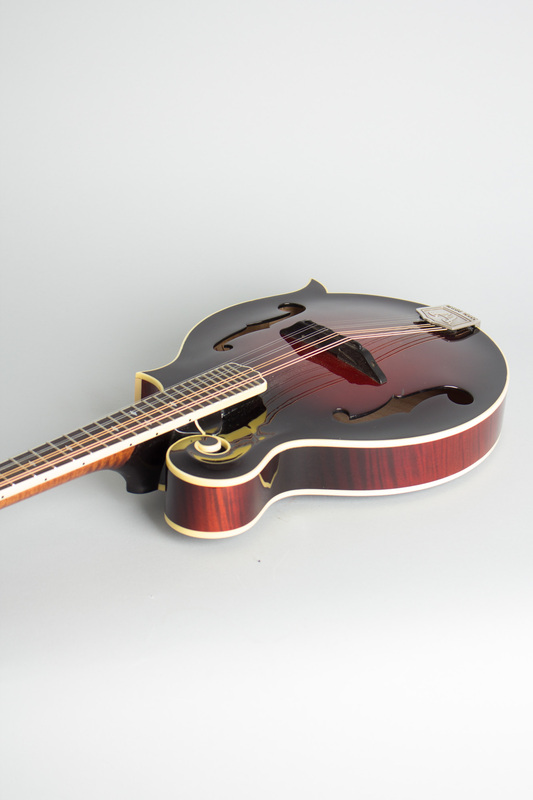 This is a good gigging F-style mandolin with a powerful sound. Excellent - Condition.